Overlooking the Atlantic Ocean in Walker Bay, lies the exclusive 200-hectare luxurious security estate, Benguela Cove. A unique piece of residential estate in South Africa, teeming with wildlife. This luxury residential development is unrivalled in its offering to homeowners and those wishing to build their dream home in the glimmering Cape sun. 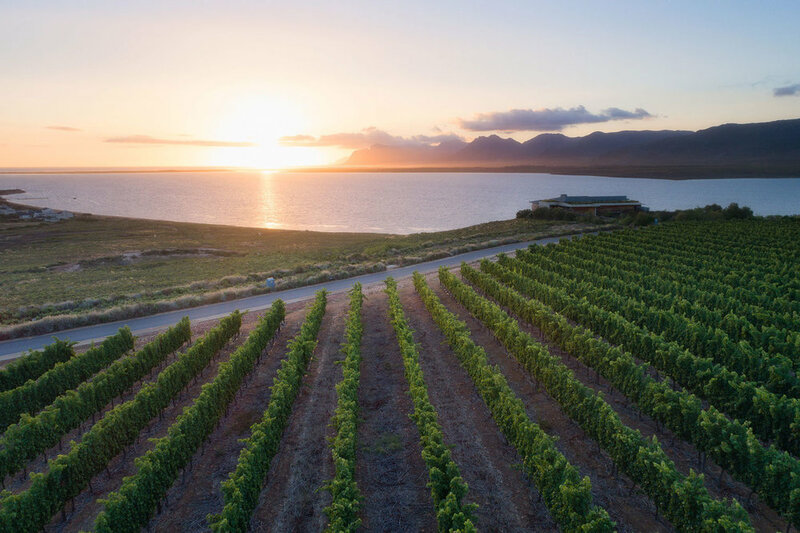 This eco wine estate is surrounded by the marvelous mountains of the Western Cape presenting panoramic views of the Botriver Lagoon and the Atlantic on the Horizon. This new development near Cape Town has more than a hundred plots on the estate waterside and vineyard properties. The luxurious houses and plot properties are surrounded by a natural lagoon, mountains, vineyards, olive trees, and is a productively operational and prestigious wine farm. Absolutely perfect for buying private property or a glamorous seafront dream home. The residential plan on Benguela Cove has been designed to capture the essence of its nature, life and breathtaking scenes giving this investment timeless elegance. Our one-of-a-kind homes are custom built to make living easy, to fill your soul with wonder and to experience life at its finest.